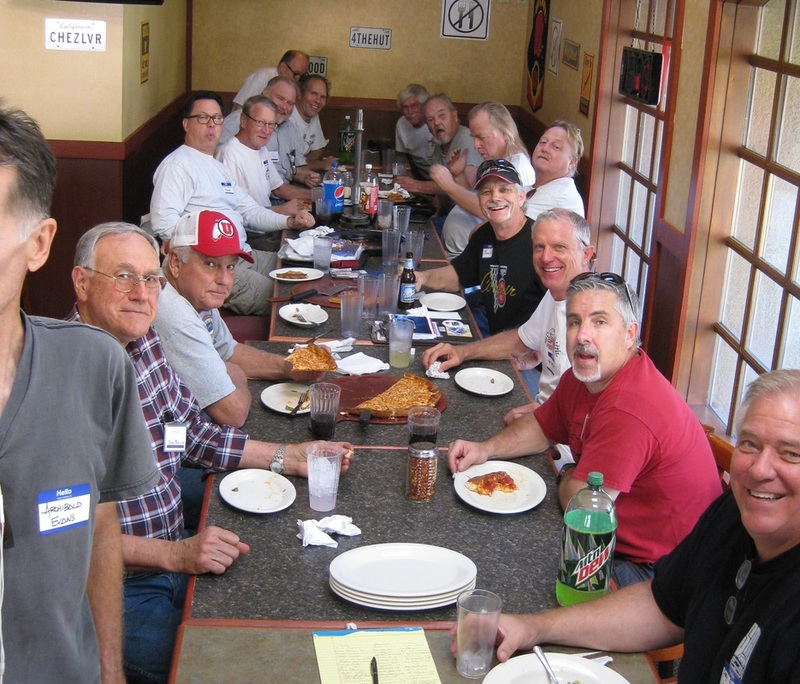 October 24, 2015 V8 Registry Meeting, Palm Springs "Great Fanbelt Toss"
We had a great V8 Registry meeting during the "Great Fanbelt Toss" on October 24th at the Pizza Hut in Palm Springs. In total, 18 members attended the meeting. After an hour or so of some general B.S.ing, Archibald Evans presented a few of the items that he has engineered specifically for V8 Vairs. 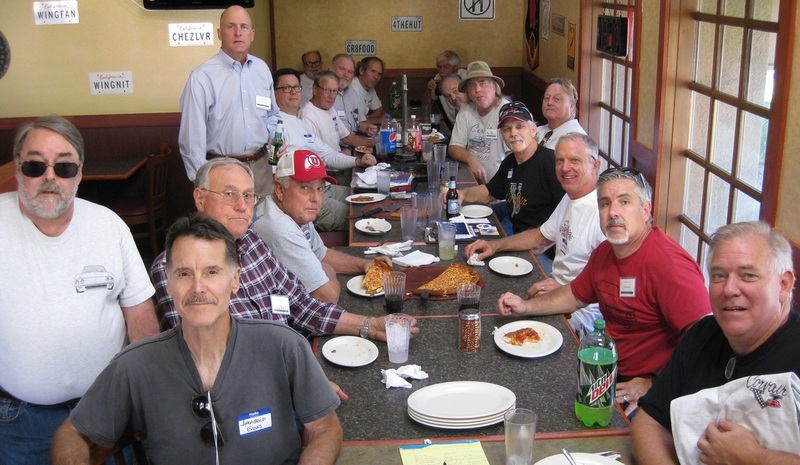 Some discussion took place regarding V8 Registry meetings at the popular annual Bob's Big Boy Corvair Shows in Los Angeles. As a group we pledged to have at least twelve V8 Vairs at next year's Fanbelt Toss and / or Bob's Big Boy show.